Can Cuba count on America as a partner or an adversary? 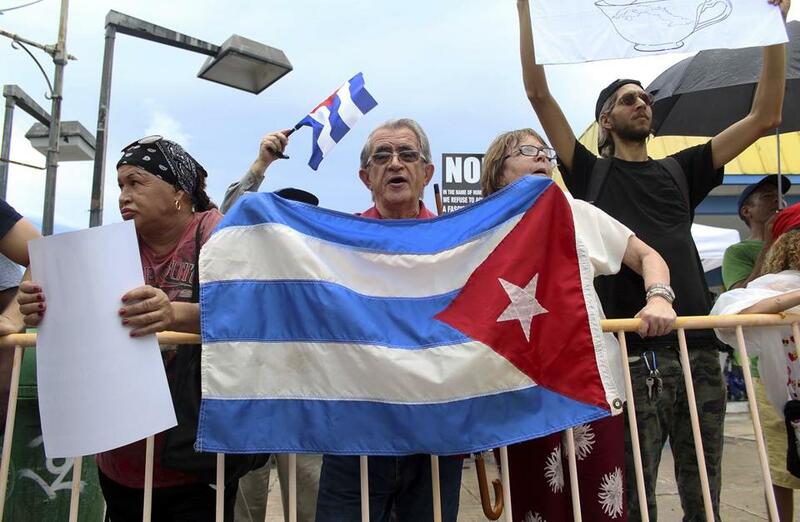 Nelson Avila, center, joins anti-President Donald Trump protesters, calling for open relations with Cuba on June 16 in Miami. In light of President Trump’s announcement that he would double down on the Cuban embargo that failed to force Havana to capitulate for nearly six decades, the question is not whether Cuban society will change. It has and it will. It is whether the Cuban people can count on America as a partner or an adversary as it does. The president characterized Friday’s announcement as “canceling” the Obama administration’s “deal” with Cuba. In fact, he announced the broad outlines of a policy that tightens the travel restrictions and enforcement of the ineffective and counterproductive embargo. Trump’s combative rhetoric failed to recognize the changes sweeping Cuban society, which his signature is powerless to reverse. Forty percent of jobs in Cuba are now in the private sector. Half a million Americans visited the island last year, restoring person-to-person, heart-to-heart friendships that in the long run will mean much more for US-Cuba relations than any government pronouncements. Airbnb has reported that Cubans have earned $40 million hosting them. The emerging entrepreneurial class of cuentapropistas — from taxi drivers to restaurant owners — is steadily building sources of wealth and consequently of independence. The policy outlines the president announced are not nearly as dramatic as he suggested or as draconian as his critics fear. And the details still must be filled in by government officials who have yet to be appointed. But Trump wields immense power to alter the tone between the American and Cuban peoples by changing our policy goal from reconciliation to capitulation. The difference is key. Reconciliation places the focus where it should be and where change is most promising: at the societal level, between our peoples. Capitulation limits our policy instead to turning the screws on the entity least susceptible to pressure: the government. Reconciliation was under way, and though change has been slower than many of us wanted, it has given hope to a new generation of Cubans that they might have a future on the island. In the six decades since Fidel Castro entered the city, Havana has never shown any inclination to capitulate. Demanding that it do so — and believing that challenging the government with a discredited policy will be the final, irresistible push that, after 57 years of futility, forces Cuba to alter course — makes change less likely, not more so. David E. Wade: Our reformed Cuba policy is working — why pull back? Rolling back current policy will be a blow to the Cuban people and a setback for American interests. Instead, it encourages the Cuban people to see the United States as their adversary rather than their ally. The timing could not be worse. A transition of power is expected in 2018. Raúl Castro has announced his intention to step down next year, and most observers predict he will do so. But Trump’s tone makes it more likely that the first leader of a different generation to take the helm since 1959 will see himself as anti-American rather than as an extension of the Cuban people’s burgeoning spirit of friendship. Such a development would do nothing to diminish the real challenges that remain for Cubans. Political repression endures; few on or off the island deny this. The question is which US policy is most likely to change these conditions — the reconciliation championed by Obama or the reversal of that approach announced by Trump. 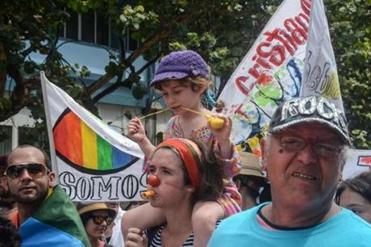 The Cuban government has not shown any propensity for caving to outside pressure. And the fact that most other countries maintain normal relations with the island — having long moved beyond the Cold War whose last hatchet President Obama announced he was burying when he visited Havana — already alleviates much of the pressure Trump is attempting to apply. If anything, such a strategy merely makes Cuban leaders more defiant and defensive for fear of looking weak to their own people. What’s more, it is far from clear how President Trump’s new policy would result in any meaningful change. Nothing he announced Friday will likely convince Havana to give in. That he is pursuing such a pointless course for purposes of political payback to a single narrow constituency – as he openly declared when he unveiled it – makes it all the more tragic. It is tragic for this reason too: The truth is that there is no rolling back the progress the Cuban people are making. There is only rolling back our friendship with them as they advance. For that reason especially, President Trump should reconsider. The Obama policy was not working as fast as we wanted. The new one is certain to fail even more rapidly. Micho F. Spring is chair of global corporate practice and New England region at Weber Shandwick.